Age : 21-27 years as on 05/10/2018. For General and OBC applicant online fee is Rs. 500/- and for SC/ST/PWD/ Departmental Applicants/ Female Applicants & Ex Servicemen fee is Rs. 250/-. 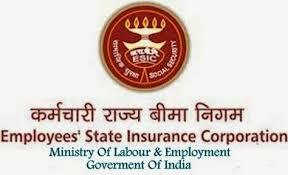 Candidates can apply online at Employees’ State Insurance Corporation’s official website on or prior to 05/10/2018 only.